So, in the spirit of not wasting things, I came up with this delicious and super colorful smoothie. Honey Crisp apples taste just like the name implies. 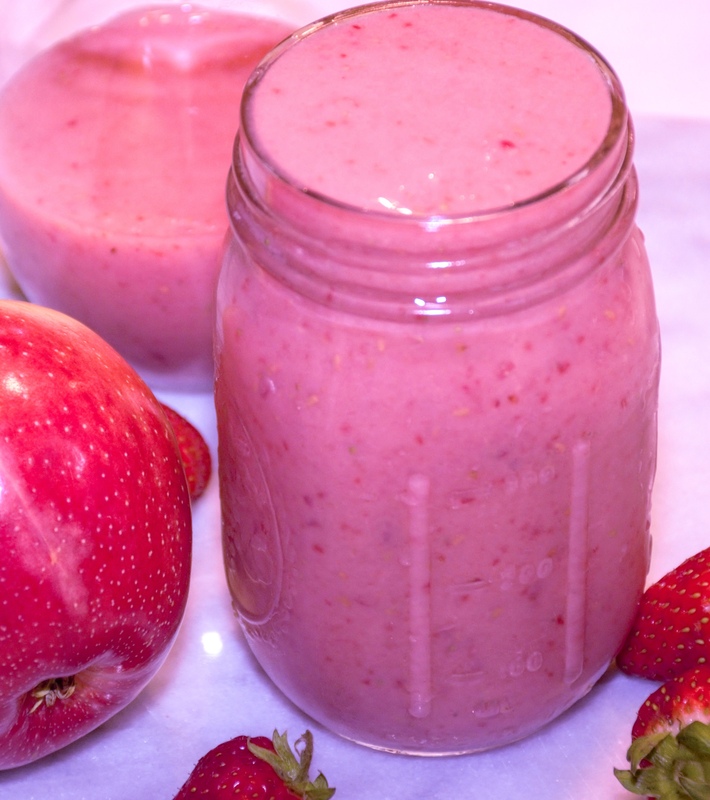 So imagine when it’s paired with fresh strawberries and raspberries! Definitely a winning combo. Raspberries are full of antioxidants and strawberries are high in Vitamin C. This is a great beverage to add to your day to help boost your immune system.